Totally different experience it was my first time stepping in this grand franchise restaurant in the world. June 2015 marked as the month and year trying Subway meal for the first time in my whole life. I am grateful it was awesome. I will never forget because Subway encouraging customers interaction with the staff picking up i customer's own delicious choices of vegetables, sauces, buns. You will be amazed with the variety. I have known Subway for a long time since was like 2008 ? 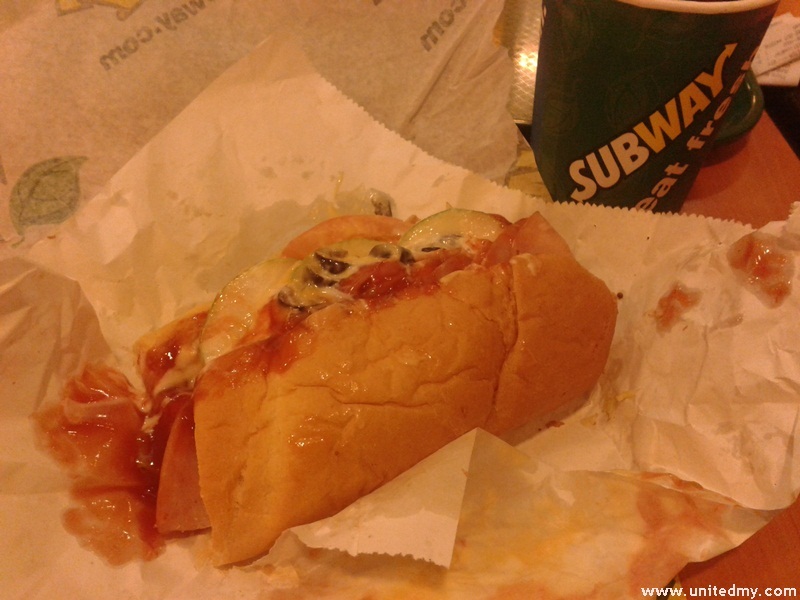 Subway always come in mind because of it affordable pricing. You see, everyone could grab it just for RM7.30. I was terrified when we are customer the one fill up the empty cup. The staff was like passing me the empty cup, I knew this was gonna happen because there was a soft drink machine beside me while I was paying at the counter. Shortly after paid, passing me a empty cup with Subway wording. Never in my whole life filling up own carbonated soft drink. Variety of delicious sauces, many choices of fresh vegetables are the reason keep me coming.